Everyone has their own favorites, but here are my Top Ten shows of 2010 in a two-part series. To craft the list, I looked at shows as two-set entities, favoring full nights with quality playing throughout, rather than ones with only one great set or one to-die-for jam. A list of the best single sets of 2010 might look quite different, but for this exercise, I looked at shows holistically. Today, I unveil at the top half of the bracket. 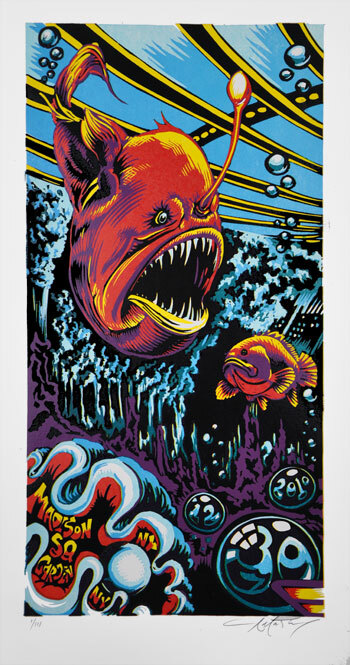 Fresh off of their practice sessions at UIC pavilion, Phish came out well-oiled and demolished their opening show of 2010. Blazing through two sets packed with improvisation, Phish brought the heat in ungodly temperatures back in June in Chicago. 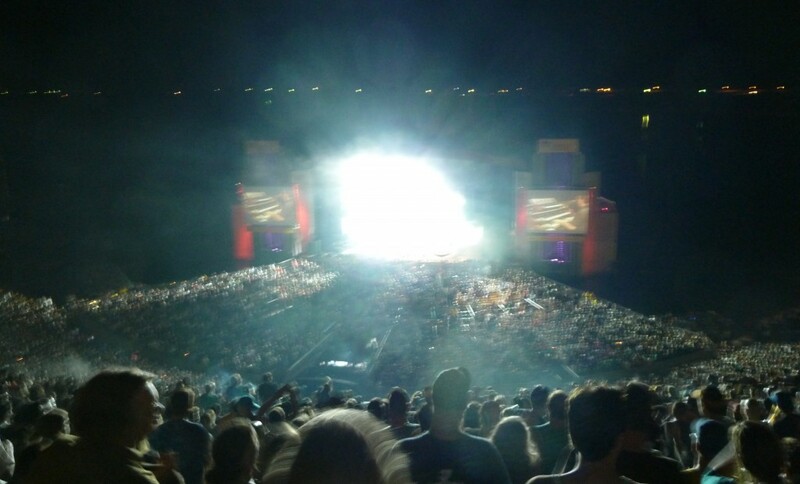 “Light > Maze, Ghost > Limb” provided the opening sequence of the second set and the meat of the show. 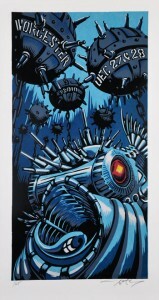 Each piece featured a unique jam, and “Ghost” would hold up as a tour highlight. The band never lost momentum throughout the night, crafting an entire show of high powered music to kick off the year. Capping a fluid second set with “Antelope” and the debut of “Show of Life,” things were blissful in Phishville after the first show of the summer. 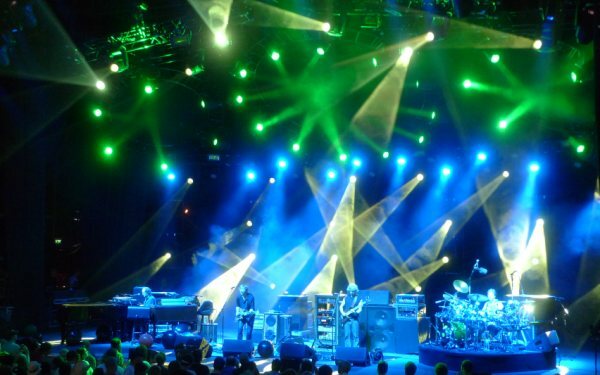 Merriweather’s second show represented the peak of Phish’s most impressive weekend of Leg I. Completing a four-night stand that started in Camden, the band punctuated their Mid-Atlantic run with a thematic second set. Responding to a sign for “Saw It Again,” Trey chopped into the song amidst the liquid funk of “Meatstick,” and initiated a wild second set in which the band wove lyrical teases of “Saw It Again” in each subsequent song, capping the night with the the unforgettable—”Boy. Man. I Saw It Again!” And smack dab in the middle of this musical trickery was a centerpiece of “Piper,” one of the outstanding excursions of June. Throw in a rocking jaunt of “Ghost > Jumping Jack Flash” and solid first set, and you’ve got yourself a nice little Phish show. This show is a dark-horse of 2010. It’s never talked about much but it musically delivered. Coming off Alpine Valley’s summer showcase, the first night in Jones Beach carried the same energy, precision, and exploratory jamming as the previous two in the Midwest. Following a hit—and improv-filled—opening frame, Phish came out and blew down the house with a combination of musical theatrics in the second. Oozing into things with the retro combination of “Lengthwise > Maze,” the band set the table for a non-stop run through the rest of the set. Launching from “Halley’s” into “Mike’s,” this typical summer ’10 “Groove” was packed with action. Following a quasi-ambient outro of “Simple,” the band sculpted the one of the jams of the season in a pioneering “Backwards Down the Number Line.” Impressive versions of “Caspian” and “Rock and Roll” came wrapped in the monster-sandwich before a smoking “Weekapaug” topped things off. You may not recall this show as one of the best of the year, but go back, check it out, and think again. The second set of New Year’s Eve is the musical treasure of this three-set show, and the central reason that it broke the top ten. Nobody can’t deny one of the year’s most scintillating frames of music on the biggest night of the year. And the entire stanza was centered around a sublime “Ghost” that quickly transformed into one of the defining jams of this era. Considering Phish shows as full experiences, the third-set Meatstick Extravaganza was as grand as any. 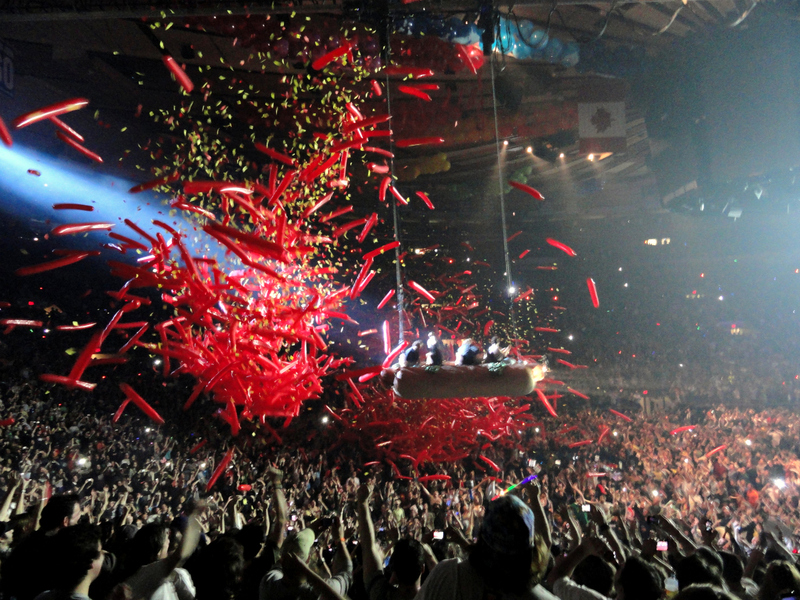 With over fifty choreographed dancers on stage representing countries from around the world, Phish sailed through Madison Square Garden on their Hot Dog of lore, bringing back several New Year’s traditions at once, while ringing in the new year. A ripping “After Midnight” and a gorgeous “Slave” provided celebratory bookends to the succinct third set. This show kicked Phish into overdrive for fall tour and they never looked back. 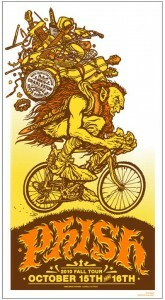 Featuring an entire night of top-notch playing, one can point to the first set “Sand” as the turning point of the tour. The band stacked the opening frame with the first “Curtain (With)” of the year, “Sneakin’ Sally,” “Pebbles and Marbles” and “David Bowie,” building a considerable head of steam by setbreak. Taking this momentum into a flawless and flowing second set that began with a multi-dimensional “Crosseyed and Painless,” and ended with the eye-popping sequence of “2001 > Tweezer > Show of Life > YEM,” Phish scripted a seamless tale of wizardry in South Carolina. A selection from the number six show on the list. This reader request goes out to “Big” Nate who “witnessed the best version of Maze [he] ever saw in Albany” that night. Also recognizing that “this show is probably best known for Michael Ray’s guest appearing in the second set, but the whole show is quite solid.” I’m with you on that assessment Nate, so here you go. 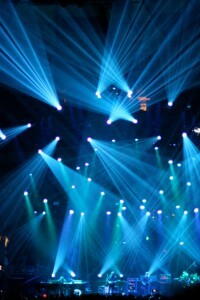 Though it is early in the Phish off-season, some noteworthy pieces of news have already made a splash in early 2011. # 1 – Last week, Phish made a buzz in the audiophile sector of the fan community by announcing the re-mastering and upcoming release of three shows from the first leg of 2010’s Summer Tour. The shows selected for audio collaborator, Fred Kevorkian’s treatment were Merriweather’s “I Saw It Again” escapade from 6.27, and the Alpharetta stand from July 3rd and 4th. These shows will be available on iTunes beginning tomorrow, January 18, and a limited number of CD versions of these re-masters will be sold in stores and online. When hearing three shows from Leg I were selected, I immediately thought it was an odd decision, since there were so many great shows after July 4th last year. But soon after I had that thought, Hidden Track uncovered the nugget of information I was waiting to hear. On Allmusic.com, Phish’s discography is now completed by releases from 8.6, 8.7, and 8.13.2010 — the second two shows from The Greek Theatre, and Deer Creek’s second show. Giving The Greek its proper due, the next round of remasters will juice up, arguably, the two most creative shows of summer and Phish’s twentieth-ever show from the cornfields. Unsure when this next round will hit the streets, they are, evidently, in the works. 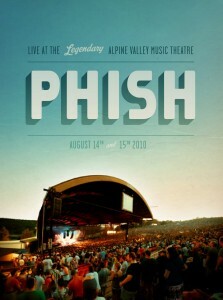 This news continues the trend of Phish releasing remastered audio and video footage of their recent performances. Why, one might ask, would Phish bother selling such recent material? Well, the simple reason is that fans will buy it now. People want mementos, and in this case the ability to re-listen to, their treasured experiences. It’s the same reason behind marketing downloads, posters, magnets, and other merchandise — there is an immediate market for the product. Why not archival releases, one might ask — relics from their heyday? I have no question the classics will come, but that is, likely, the band’s long term plan–especially after retirement. Phish knows that they are sitting on a goldmine of archival material, and when the end of the road does finally come, there will be plenty of golden-oldies to drop on the us. They know that any well-chosen release from 1993-1999 will sell like hotcakes in the fan community, so there is no real incentive to push them out now. We’ll ultimately get more remasters from the wheelhouse of Phish’s first era, but not likely any time soon. 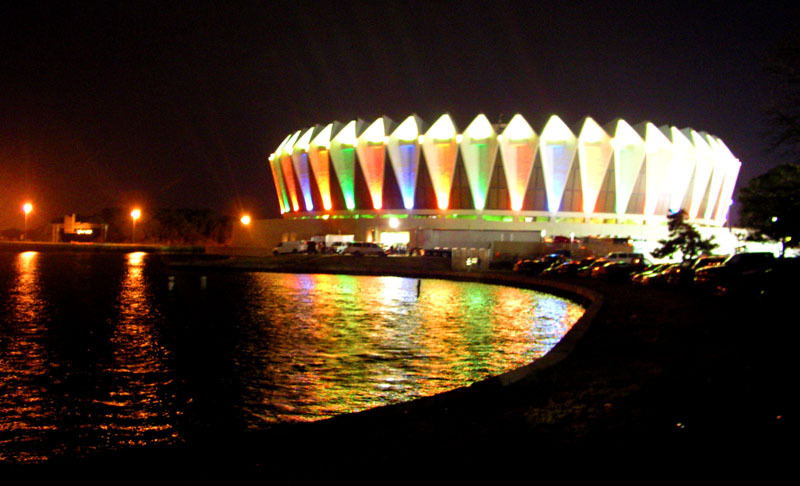 # 2 – The second buzz-worthy piece of news is the rabid rumor that Phish will return to Hampton Coliseum for a three-night run over Memorial Day weekend, perhaps to kick off Summer Tour. The rumor has leaked from all the reliable sources and Hampton is booked solid for May 27-29. Since getting wind of the rumor, themselves, many hotels have ixnayed their cancellation policies as well as jacked prices considerably. And when rumors develop to this an extent, they most often come to fruition. If so, this will mark Phish’s first visit to The Mothership since their comeback in March of ’09, and they would return as a different band then the tentative quartet of yesteryear. Throw this rumor together with the looser buzz of a July 4th festival in Watkins Glen, New York, and Phish could, perhaps, have a marathon, five-week summer tour. But that sounds totally out of place for this day and age, so your guess is as good as mine. Hampton, however, seems to have to some real weight behind it, so hopefully we’ll be meeting at The Mothership in May. An impressive rendition of “Piper” from Englewood, Colorado during Phish’s final swing of Fall 2000. Without many noticing, Phish debuted the newest Anastasio/Marshall effort, and their most impressive new song of the year. 2010’s final version was a keeper. 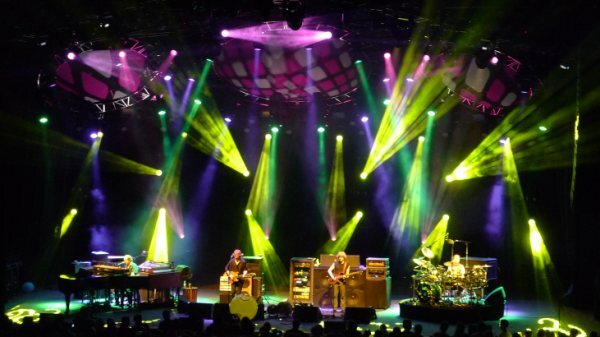 Following a similar schedule as last year, days ago, Trey announced a two-week tour Classic TAB tour over late-February and early-March with the well-loved lineup of ’09 featuring Tony Markelis (bass), Russ Lawton (drums), Ray Paczkowski (keyboards), Natalie Cressman (trombone), Jennifer Hartswick (trumpet), and Russell Remington (tenor saxophone and flute). 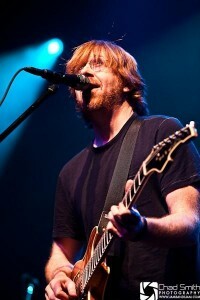 Though the timing of his tour is similar to last year’s, 2011’s circuit will bring his Classic TAB ensemble to the west coast for the first time since re-uniting the band in 2008, and will feature one solo, acoustic set and one electric set — the original set up of Trey’s power-trio tour in 1999. Starting in Portland, Maine on February 18, and winding their way to Oakland, California on March 5, Trey’s band will play twelve shows primarily in the east while also hitting Chicago, Denver, Los Angeles and the Bay Area. Denver is this year’s luck winner as the only city to host two Trey shows, as every other city will be one and done. Playing intimate clubs and theatres, Classic TAB will hit only one room with any Phish history in Albany’s Palace Theatre on February 19th. Otherwise, besides the recently refurbished Fox Theatre in Oakland, no venues jump out as particularly special or unique; but that never stopped Trey from tearing a room apart. 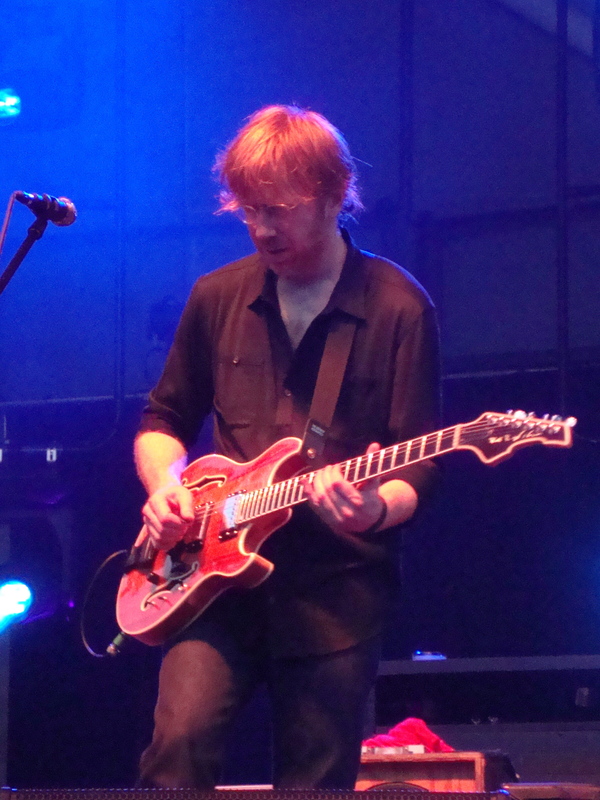 While 2010’s TAB tour provided stepping stone for Trey to hone his still-improving chops between Phish tours, this year, his skills won’t be in question. 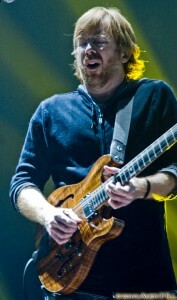 In fact, it was last year’s Trey tour that many fan’s pointed to as the time they really heard the Trey of old emerge. With more freedom in a band created as a personal showcase, Trey could liberally explore solos while also practicing rhythm textures when the horns took the lead. Always a breeding ground for new Phish material, we will likely see a couple up-and-comers for summer tour along the path of Classic TAB. If addition, we’ll likely hear “Liquid Time” resurface after a year of wondering when it might debut in Phish’s repertoire. Having found a renewed stride with his solo band last year, Trey revamped many songs with lyrical horn arrangements written in collaboration with Don Hart of Orchestra Nashville. 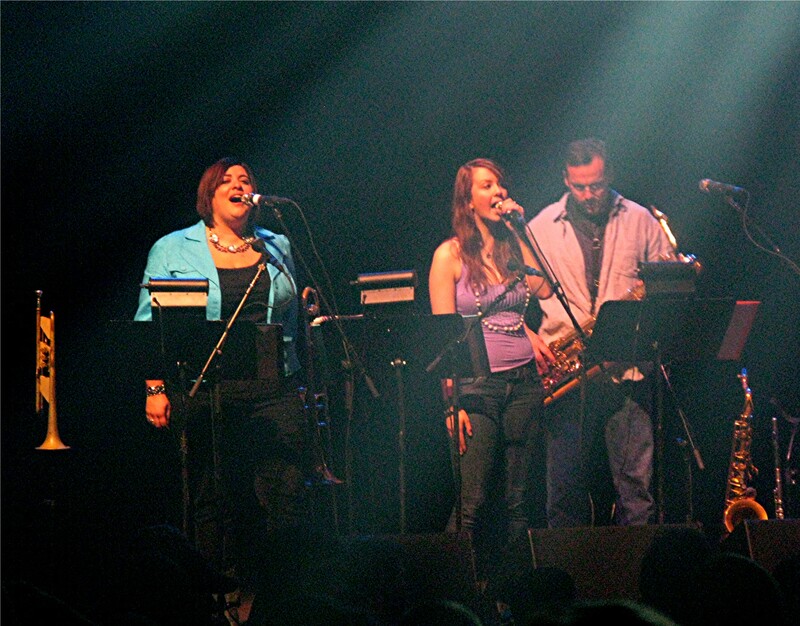 With the addition of now-20 year old, Natalie Cressman on trombone last year, and Russell Remington on tenor sax and flute, the powerful chops of TAB-mainstay, Jennifer Hartswick, gained some stellar brass accompaniment. And with the core of Tony, Russ, and Ray — who go it alone with Trey for portions of the show — Classic TAB has never been stronger. Ever since Trey downsized TAB, focusing less on conducting and more on playing guitar, the blazing solos and six-string drama displayed of his earlier tours came back to life. And with Red’s current state of shreddery, we are sure to see some fireworks next month. Ticket presale for these shows begins today, January 14, at 10 AM Eastern, and public on-sales start a week later on January 21. Phish delivered the most explosive set of the Holiday Run right in the wheelhouse of Madison Square Garden’s three-night stand. While January 1st may have boasted a more complete overall show, no frame matched the big city setting better than the monstrous music of New Year’s Eve centerpiece. On, arguably, the nations biggest stage on the most celebrated night of the year, Phish used their middle frame to throw down an iconic holiday set of music that featured some of the band’s most exemplary playing of their five-night run. Reigning in the entire audience with the Gamehendge, call-and-response anthem, “Wilson,” and then lighting The Garden aflame with the over-sized arena rock of “46 Days,” the pot was already boiling when Trey strummed the opening chords to “Sand.” A song that transformed from a platform for guitar bravado into an earnest whole-band conversation this fall, “Sand’s” final version of the year flooded the room with adrenaline. As Phish completed the brief lyrical section, they took a swan dive into some of their most dynamic improv of the night. 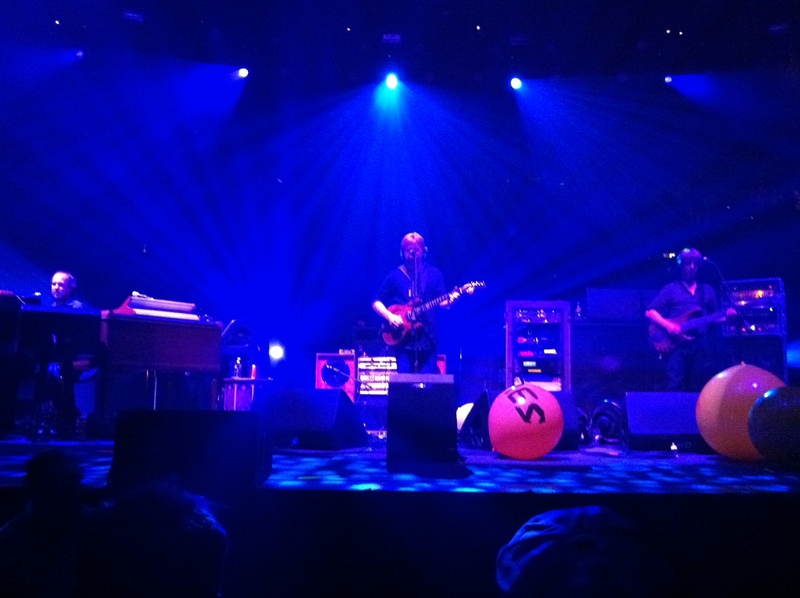 The entire band played off Trey’s staccato licks — echoing, altering, and responding to his signature patterns. And within no time at all, the band engaged in a rhythmic boxing match, bobbing and weaving like Ali and Frazier in the same building 39 years earlier. 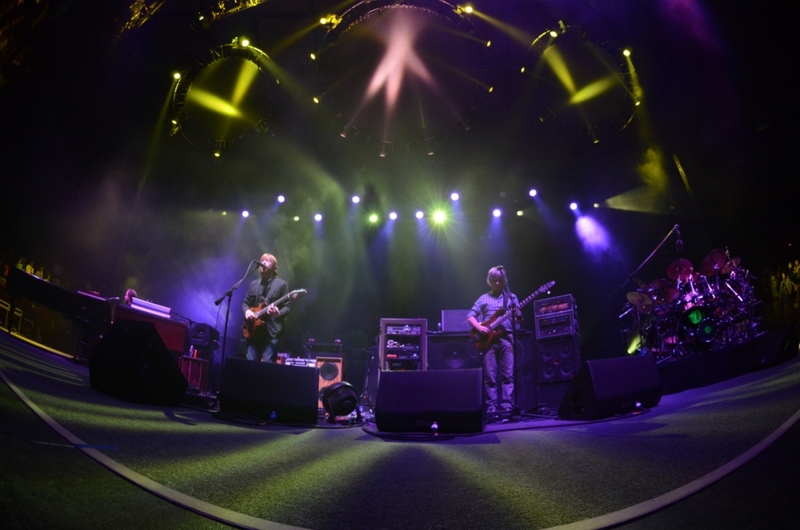 With melodies dancing around each other like prize-fighters, Trey, Mike, and Page threw down several rounds of scorching interplay within a ten minute journey, all contained by Fishman’s squared-circle. Drawing raucous mid-jam roars from the juiced onlookers, Phish took this jam to the top in the, difficult-to-dispute, version of the year. After a mid-set interlude of “NICU,” Phish got right back to business with the defining sequence of the set, and the night. The adventure began with the opening bass rumbling of “Down With Disease,” and continued right through the song’s high-speed rock and roll into a slowed down, menacing segment of music. As Phish slid smoothly into “Ghost,” one could feel The Garden inflate with excitement and energy. And following the path of an inspiring and uplifting jam, “Ghost” drove these initial emotions into the heavens. Playing the defining rendition of the song for the modern era, Phish sculpted a start-to-finish masterpiece that peaked with seething catharsis. Mike handed the lead to Trey amidst an uber-slick groove that never hiccuped for a second while bringing the show to its undeniable peak. 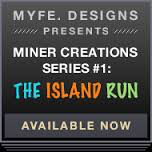 After passing through minutes of smooth dance music, the band hit a collective harmony and ran for the sunset, rejoicing in a final segment of guitar-led, soul-tugging victory. 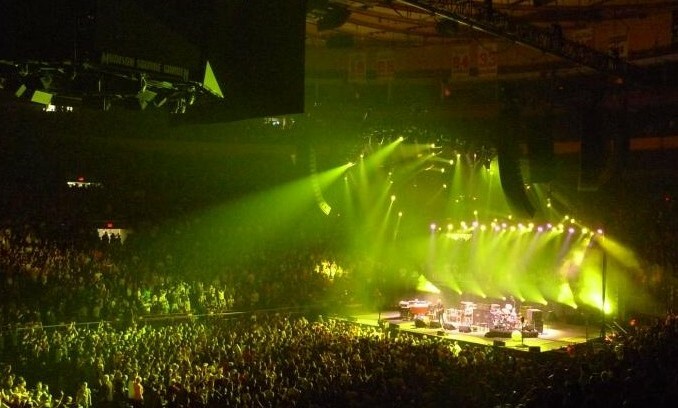 Taking the jam to mountaintop and bringing 20,000 participants along, Phish molded the communal energy like Play-Doh in a frozen moment that will live forever in the MSG history. 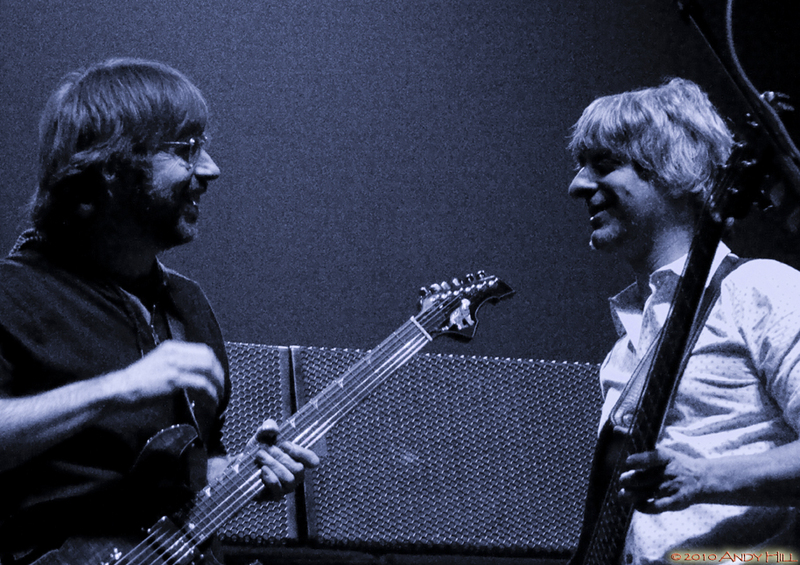 And at the highest point of the evening, the band dropped into the opening arpeggios of their seminal piece, “You Enjoy Myself.” Precisely nailing the opening half of a piece that always shines at The Garden, when Phish dropped into the funk, the room became an aquarium of liquid grooves. Tickling the initial jam with what seemed like another “Manteca” tease — a playful theme of the fall, if not the entire year — the band, instead, broke into the full-on Dizzy Guillespe groove, with lyrics, for the first time of 2010. Segueing back into “YEM,” they continuously toyed with “Manteca,” singing “Crab in My Shoemouth,” within musical breaks for the duration of the jam, further amping the crowd with a display of musical Phishiness. 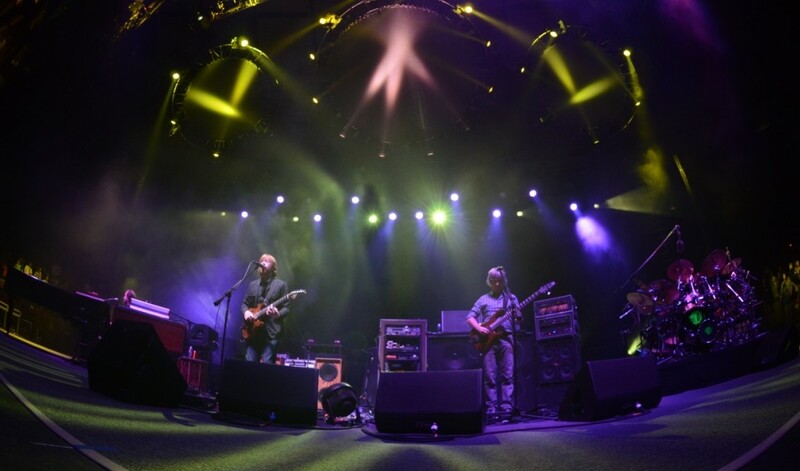 Punctuating the set with series of sharp and styling grooves while drenching the building with unparalleled spirit, Phish had just dropped a masterpiece, and midnight was yet to come. 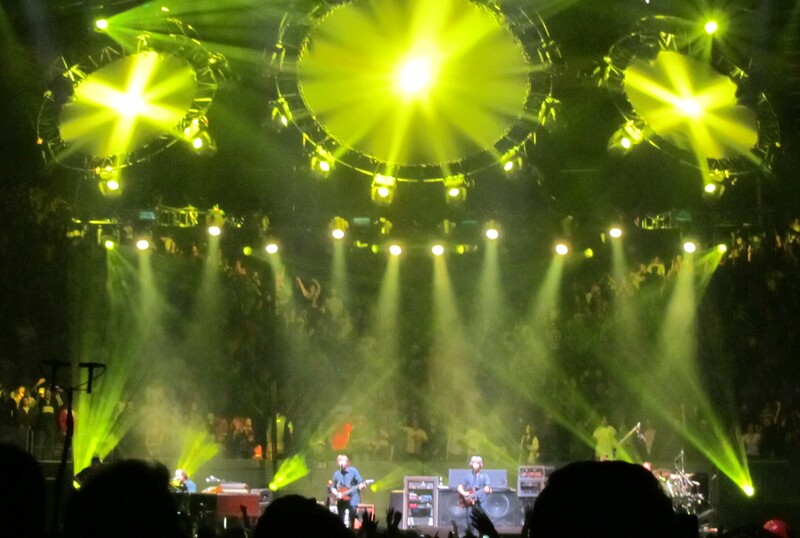 Though other sets brought different qualities to the table, New Year’s Eve’s second set blew up in a white-hot showcase of arena Phish that was dotted with some of Trey’s most impressive playing of the run. 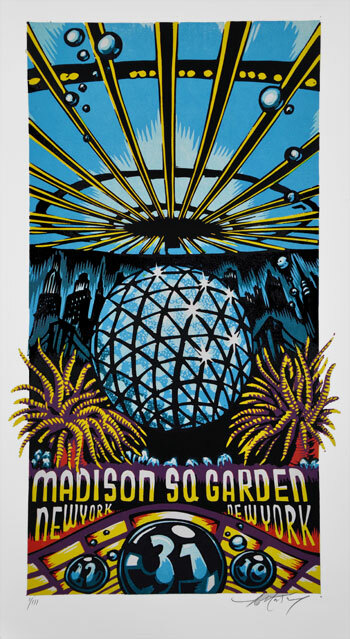 With Madison Square Garden in the palm of their hand once again, the band delivered another chapter of New Year’s lore than will find its rightful place in our eternal picture book of holiday memories. 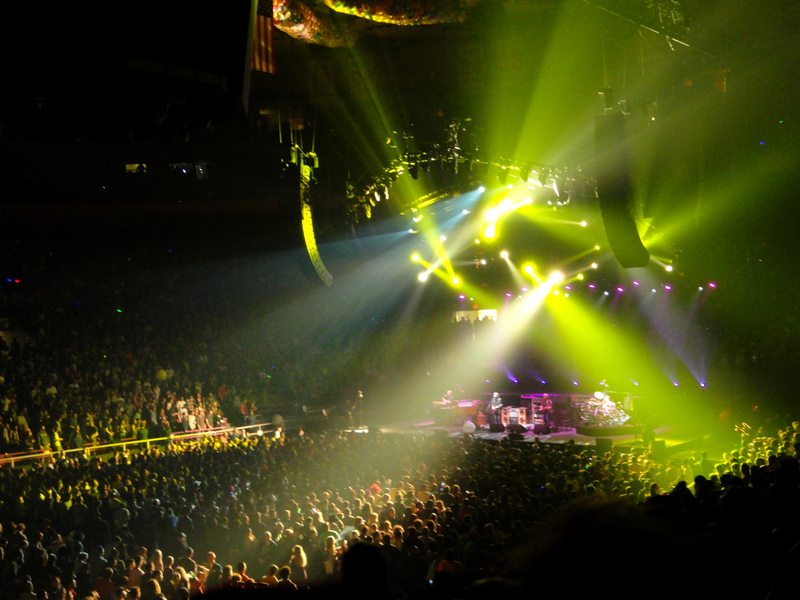 While the rumors have already started to roll in about 2011’s summer schedule, let’s pause for a moment to reflect on Phish’s transformational year of 2010. The band rung in the year with four significant shows in Miami that represented a huge step forward in their improvisational cohesion. Blowing away the unexpectedly contained playing of Fall ’09, Miami brought Phish into the new year with a bang. And though the future seemed much brighter after Miami’s holiday run, it remained to be seen how six months off would treat Phish’s newly re-discovered chops. After practicing for several days at UIC Pavilion in Chicago, the band kicked off Leg I of Summer Tour on June 11, with a two-set juggernaut at Toyota Park that inaugurated Phish into 2010. 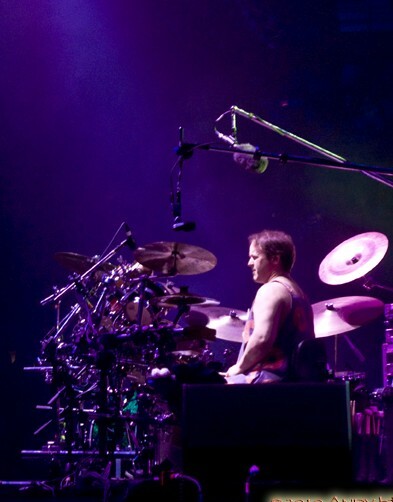 On a tour that will forever be remembered for Trey’s prominent use of his whammy pedal — better known as “the whale” — Mike began to gain more prominence in Phish’s music as Trey slid back with his minimalist offerings. 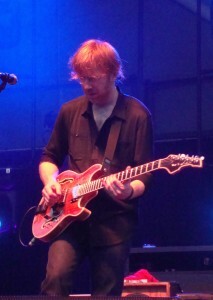 This welcome trend continued throughout June, and by the time the tour ended in Alpharetta, Georgia, Mike had become as much of a leader of Phish’s jams as Trey. This two-headed musical leadership would mature throughout the year, as both guitar players worked symbiotically through most all of the band’s improvisation. In addition, June’s leg featured a wide array of bust-outs and one-time covers, spicing up setlists with the unexpected night in and night out. Phish carried their momentum of their top-notch tour opener to Blossom (where they played, perhaps, the jam of June in “Number Line”) and Hershey, starting the tour on a tear. But over their stretch in upstate New York and New England, their consistency dipped before coming back with a vengeance over the tour’s peak weekend in Camden and Merriweather. The band broke through to the other side with Camden’s “Chalk Dust” and then “Light,” while Merriweather took things to the next level with a spectaular “Rock and Roll” and the seamless “I Saw It Again”-themed second set on 6.27 that was centered around a sprawling “Piper.” Much to the dismay of many fans, Phish’s Southern run never reached the heights of their Mid-Atantic showcase, though the band’s July 4th stand in Alpharetta provided a fine consolation prize. 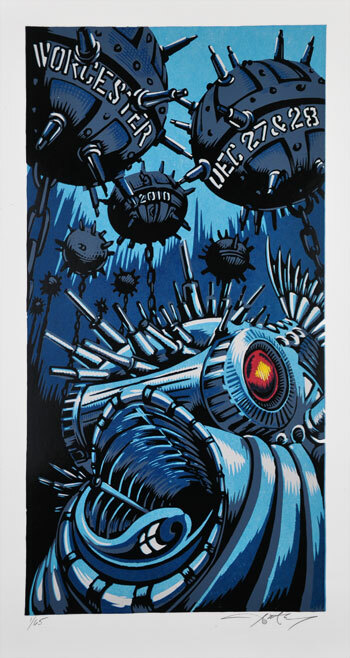 But the second leg of summer tour is when modern-era Phish took off in earnest. August began a next-generation transformation that would conclude during a universally-loved fall tour and an outstanding Holiday Run. Starting out on a hilltop in Berkeley, California, Phish played three of their most creative shows of the entire year at The University of California’s Greek Theatre. 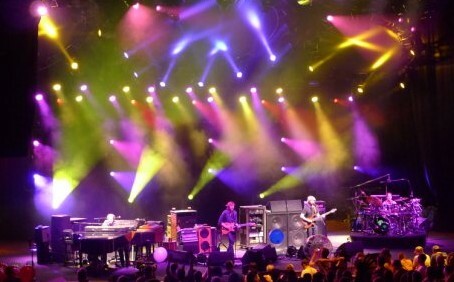 With pristine acoustics in the classic stone setting, Phish threw down many open-ended jams that met with smashing success, highlighted by of one summer’s defining pieces in a sublime and exploratory “Light.” Focused more squarely on open jamming than at any other time in the year, Phish also wove tales of wonder out of “Disease,” “Rock and Roll,” and “Simple,” while embarking on top-shelf versions of “Cities,” “Bathtub Gin,” “Tweezer,” “Harry Hood,” “Suzy (plus Reprise)” and “Slave.” But more significant than any of these individual jams was the introduction of Trey’s brand-new, “magical” guitar — “The Ocedoc.” Revolutionizing his tone and modern style of play, his new guitar facilitated the red-headed Jedi’s return to prominence — a process that would be solidified during August’s second high-water mark at Alpine Valley. In between these two peaks of August, Phish traveled deep into the Rockies for one of the most special weekends of the year in Telluride, Colorado. With everyone you knew within a few town blocks, a veritable Phish festival at the end of the street, and a to-die-for natural setting, Telluride became a communal experience that transcended the shows. But there was some great music as well, including the most impressive “Piper” of summer and a supernatural “Carini.” Deer Creek, though one of the more hallowed venues in Phish history, proved to be somewhat of an exhale after the high-key west coast shows and before the Alpine shows-turned-DVD-release. But when summer ended, Phish had made another step forward in their playing and their jamming with fall tour yet to unfold. 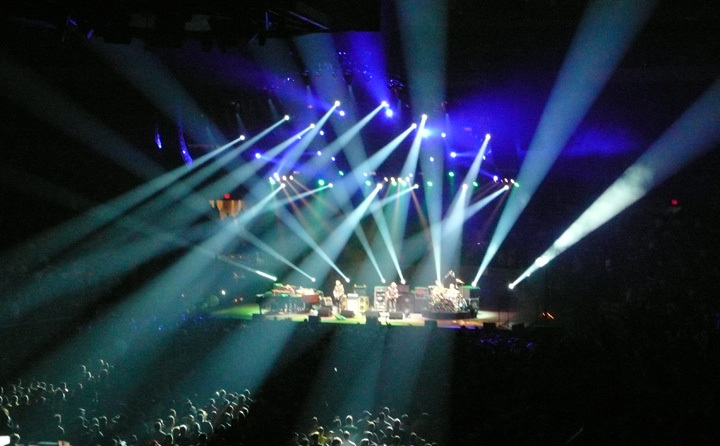 While Fall 2009 wound up bringing some stagnation to the Phish’s play, a notably downsized Fall 2010 would have the opposite effect, catapulting the band into their current golden age with the best playing since their return. On a retro-tour that caught fire in earnest on the second night of South Carolina, Phish reinvented themselves in a week of musical adventure that tore through Augusta, Maine — featuring a sacred “Reba,” Utica, New York, and Providence, Rhode Island. In the veritable ghost-town of Utica, New York, in the middle of the week, Phish threw down, arguably, the show of the year, fusing an old-school playfulness with a powerful display of new-school musicianship. Phish dropped another mid-week bomb in Manchester, New Hampshire — highlighting “Light” and “Ghost” — that set up Atlantic City’s Halloween trifecta. Three-nights on the Jersey shore proved to be just what the doctor ordered, as Phish punctuated fall with three stellar nights of music. Carrying a full head of steam into fall’s final weekend, Phish did not disappoint anyone who traveled to the tourist Mecca, playing three universally-loved shows with all sorts of highlights. But the defining moment of the weekend came in Phish’s sixth musical costume, Little Feat’s Waiting For Columbus. Bringing one of rock and roll’s most acclaimed live albums to life in Boardwalk Hall, Phish emulated some of their heroes while throwing down an groove-based, ’70’s style dance-party for the ages. When fall tour concluded, the entire community — young and old — seemed to have fallen back in love with the band that once courted their heart. Taking things back to their geographic roots, Phish played an unprecedented five-night New Year’s Run in Worcester and New York City that contained some of the year’s most memorable jams in “Seven Below > What’s The Use?,” “Harry Hood,” “Tweezer.” “Ghost,” and “Simple.” And finally — out of “You Enjoy Myself” — the band culminated a year of musical hints and teases by breaking into a long-awaited “Manteca.” Beyond the music, Phish orchestrated a global “Meatstick” convention, kicking in 2011 with their hot d0g of legend and a choreographed parade of Broadway performers who helped Phish pull off their grandest midnight moment of all-time. 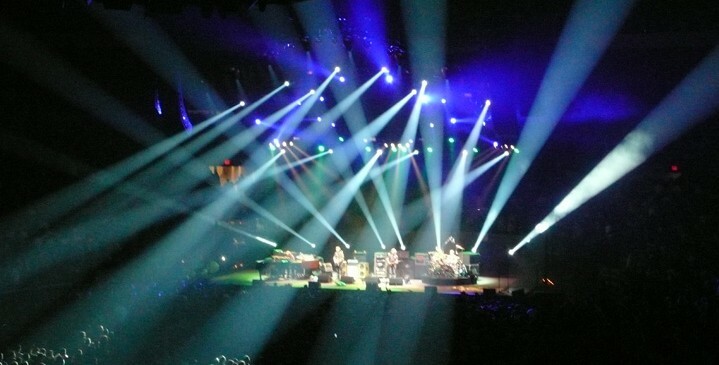 Without going too deep into topics freshly discussed, Phish concluded the year with musical exclamation point in New Year’s Eve second set, and opened 2011 with 1.1.11’s equally potent second half. 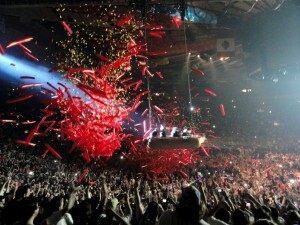 Finishing the year by rocking the The Garden, a round room that has become their de facto New York residence, it looked like smooth waters ahead as the band embarked on the their third year of chapter three. * When will we see a new jam vehicle debut? — “Light” has been an all-world performer since its rookie season of ’09, creating sound sculptures of all shapes and sizes. 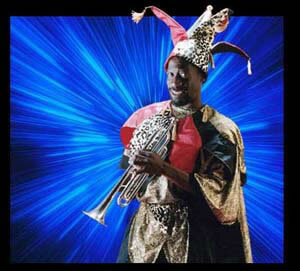 But it needs a new, modern running mate to continue pushing Phish into the improvisational beyond. *When, if ever, will Phish do a west coast swing? — Sure, quality over quantity… Indio…Greek…blah…blah…blah. West coast swings of lore are some of the greatest memories of Phish tours past. Despite their age and east coast roots, even if only once this era, Phish should hit up a week-plus long run up or down the left coast, from San Diego to Seattle and all the beautiful places in between. * Will Trey and/or Mike do a winter tour like last year? — Phish’s schedule has been close to clockwork since their return, so does that mean we will see a Trey Tour before Phish plays again? Strong srumors of Phish headlining the Hangout Festival on the Gulf Coast of Alabama between May 20-22, would place any solo circuits in the winter or early spring of 2011. When digesting a Holiday Run, one must step back and take in the whole ride rather than look at each show in a vacuum. This year, Phish sculpted an artistic musical contour over five nights that possessed a natural flow from Worcester’s kick-off through Madison Square Garden’s finale. 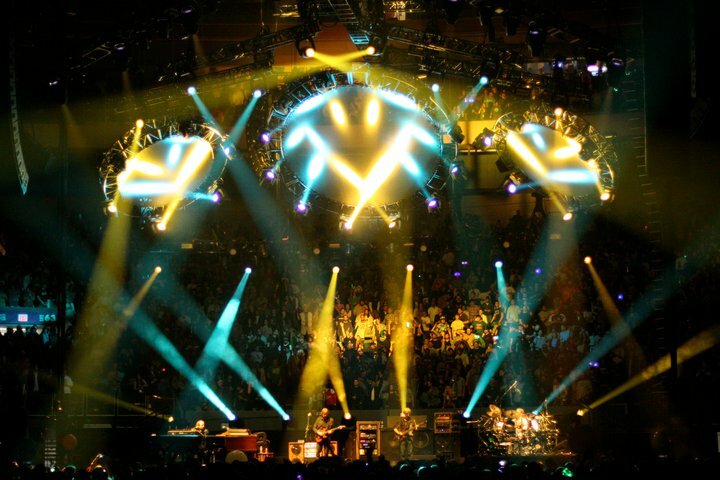 Highlighting divergent styles on different nights, and peaking the run with two of the most successful sets of the “year,” Phish not only played four out of five outstanding, individual shows, they crafted an unparallelled five-night adventure to ring in 2011. 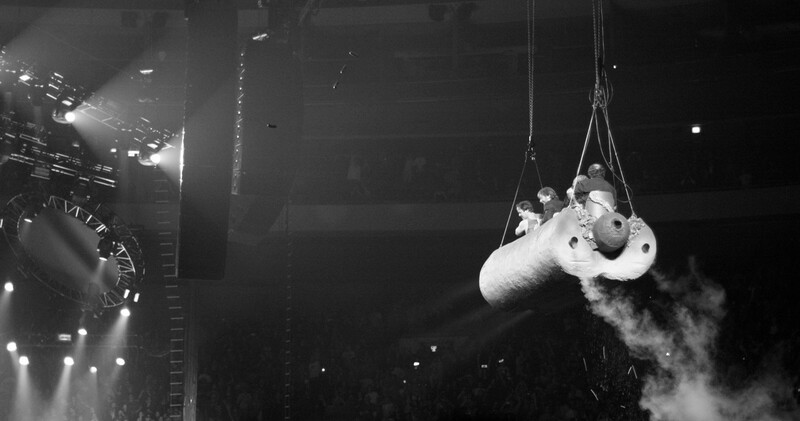 Amidst outlandish blizzard conditions, fans fought their way to the DCU Center in Worcester, Massachusetts for an early start to 2010’s New Year’s Run on December 27th. After braving treacherous traffic and road conditions, and navigating clogged-up, east coast airports, the initial show felt like a reward for the efforts expended by all fans to reach the promise land. Worcester’s first set started off more fully invigorated than most opening sets, featuring surprise, jammed-out versions of “Cool It Down” and “Roggae,” as well as a string of inspired singles. The second set initiated the run with a smoking “Mike’s Groove” that favored a heavily-improvised “Weekapaug.” An emotive “Farmhouse” set the table for one of the pieces of the entire run — an enchanting sleigh ride through a sublime “Seven Below.” As patiently glowing, open interplay led into a mind-numbing mash-up with “What’s the Use?” this excursion quickly jumped onto the top-shelf of 2010 Phish jams. 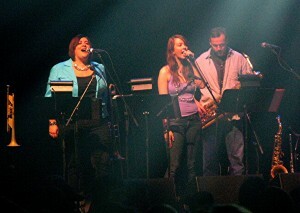 The band eased out of this defining piece into “Twenty Years Later” and an elegant rendition of “Velvet Sea,” before finishing with a triumvirate of classics — including the run’s first “Bowie.” Kicking off their their holiday celebration with a well-rounded shot of musical adrenaline, Phish welcomed everyone to the end of the year showcase. The following night in Worcester was the tale of two sets — the first was strewn with upbeat improvisation and spurts of shining psychedelia, while the second became a coherent frame of delicate introspection. The opening set carried the energy from the first night in dynamic explorations of “Wolfman’s” and “Stash,” while also featuring “She Caught the Katy” and the catchy debut of Anastasio and Marshall’s newest effort, “Pigtail.” After “Carini” opened the second set with a surprisingly contained jaunt, the band ventured into more meticulous jamming around mellower, emotionally-driven selections for most of the set. In “Back On the Train > Limb,” Phish wove together two sharp, contained pieces with a seamless segue and a sense of understated eloquence. Following a notably well-played “Frankie Says > Albuquerque,” in which individual notes and the space between them were given equally attentive care, Phish dropped into — in my opinion — the jam of the entire run in “Harry Hood.” United by a selfless ethos, Phish fused precise rhythmic interplay into a blissful and futuristic collaborative canvas, resulting in a life-affirming tale of experimental triumph. 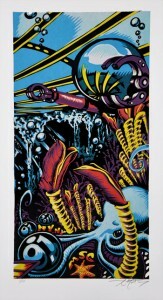 Using this masterpiece to peak the set’s stylistic theme with perfection, the band then came down from the stratosphere with a scorching and extended version of “Bug.” Highlighting intricate and quiet interplay all set long, Phish created a beautiful calm before the oncoming, big-city storm. 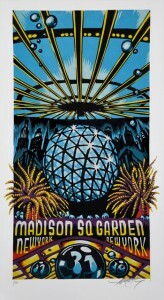 Madison Square Garden provided a stark change of scenery from snow-covered New England landscape, and Phish responded to the high-key environs by playing a largely energy-based show that also featured some, classic, 30th-style exploration in “Tweezer > Light.” Taking two of the year’s most successful songs, Phish went for it, first coming up with a fierce peak in “Tweezer” before drifting into engaging (if not totally locked-in) bass-led, atmospheric jamming during the piece’s second half. “Light,” a song that hadn’t delivered a lackluster version all year long, notched its first with an aimless exploration that never gained liftoff. On a night that traditionally enters darker realms before an upbeat party on New Year’s Eve, Phish certainly followed that vibe on the 30th, but for whatever reason, didn’t play with the same fire and fury that displayed throughout the following two nights. When “Tweezer > Light” didn’t necessarily reach the places it might have, the band took the course of energy anthems for the rest of the night in the only underwhelming show of the run. 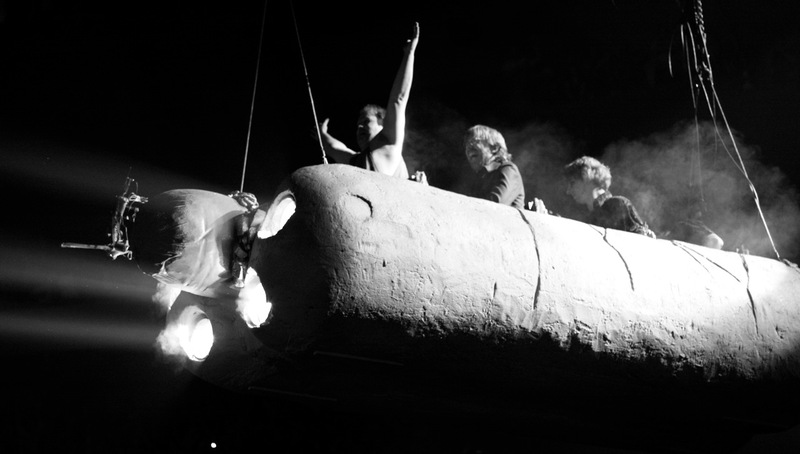 Sandwiched in the first set, however, was the show’s certain high-point in a smashing “Bathtub Gin,” followed by Little Feat’s “Fat Man In a Bathtub,” and “Timber Ho!” Thus, while the overall musical achievement didn’t reach the level of the four surrounding shows, the 30th, nonetheless, provided the darker, exploratory experience to fit the overall, five-night contour. The third set of New Year’s Eve brought the well-documented, feel-good event of the year in the Global Meatstick Extravaganza. Following the theatrics with with a series of succinct rock songs that kept the party moving, Phish chilled briefly in a serene “Waste” before climaxing the night with”Slave.” Traditionally, this celebratory evening capped the Holiday Run with noisemakers, silly glasses and relatively innocuous third sets. But this time, we had another show! And one didn’t have to be a rocket scientist to sense that it would be the most complete effort of the run. Building off New Year’s celebration, Phish doused their audience with two frames of musical focus, including a second, airtight set of creative interplay that went unrivaled by any other of the run. After a linear “Crosseyed” jam got the blood coursing through people’s veins, the rest of the set was chock full of original musical exchanges. “Twist” brought a meticulous conversation between all four band members that pushed the limits of “contained” jamming, while “Simple” broke into the transcendent realm, melting hearts with original improv drenched in spirIT. Never letting up within this entire set of adventure, Phish kept the pedal to the metal with a swanky “Sneakin’ Sally,” a dubbed-out “Makisupa,” and one final, magnificent “David Bowie” to end a season that featured so many incredible versions. Taking this Holiday Tour to another level with a fifth night, Phish peaked the run with its most cohesive show by a long shot, ending — and starting — the year on an incredibly high note. But January 1st’s peak was but one part of a five-night ride that started in a winter wonderland and ended in a concrete jungle. 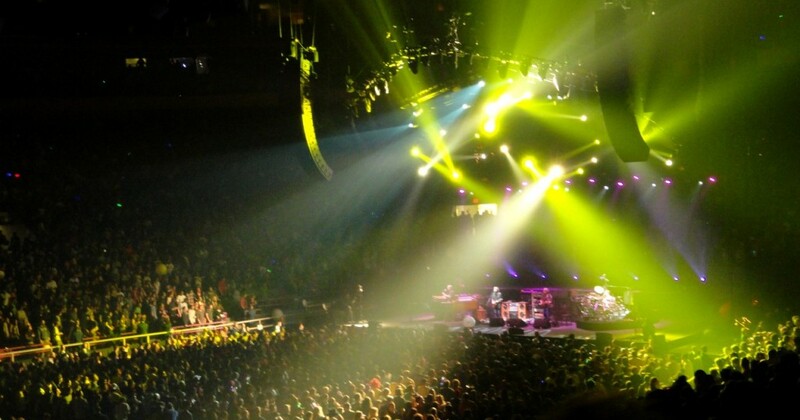 And along the way, Phish sculpted their shows and jams with parallel direction. Starting with a spark, the band turned to the emotional and intricate side before greeting New York with energy and exploratory intent on opening night. Then, blowing out The Garden with their two finest efforts of the week, the last two nights peaked the run with notably different shows. 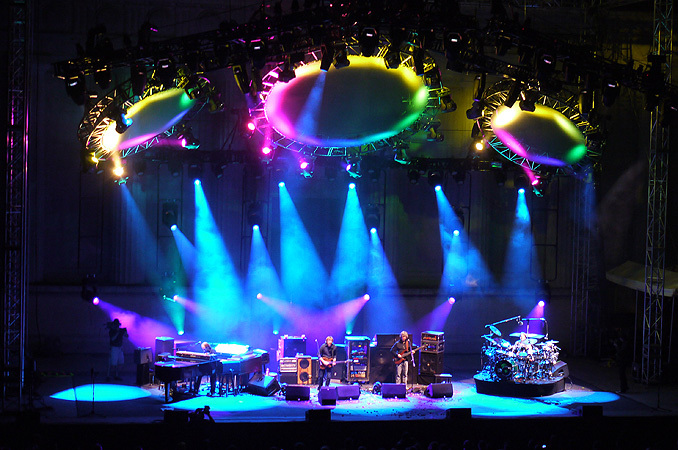 I’m sure everyone has their favorite night and favorite jam, but when looking at 2010’s Holiday Run from a macro-perspective, it contained an organic path from beginning to end — and plenty of great music in between. The central sequence in Worcester’s opening night, and one of the most impressive jams of the year.